Sage Intacct has the technology to move your business forward. AcctTwo has the experience to get you there. Sage Intacct is a multi-tenant cloud application, giving your business instant access to new features. No IT help required. Sage Intacct is a secure cloud-based solution that gives you better financial transparency with greater control of IT costs. There’s no good time for downtime. That’s why Sage Intacct guarantees 99.8% availability. Sage Intacct gets features and enhancements four times per year, keeping you up to date with the complex, changing world of finance. 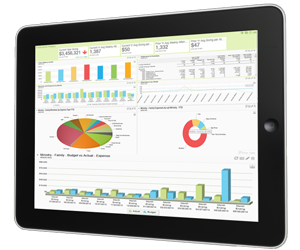 Sage Intacct runs on any modern web or mobile browser. There’s no software to install or deploy. Create a secure login and start now. Sage Intacct connects with the best-in-class solutions you’re already using to achieve greater speed at a fraction of the cost. Since Sage Intacct is fast to deploy and easy to use, it starts delivering a return on investment immediately. We’re never further than a phone call, email or chat message away.